Randy Jackson is finally taking the plunge and leaving American Idol after 12 seasons and 10,000 'best ever' statements later. Jackson released a statement that started out in true Randy form, "Yo! Yo! Yo! To put all of the speculation to rest, after 12 years of judging on American Idol I have decided it is time to leave after this season." About time Randy, seriously it was starting to get sad. 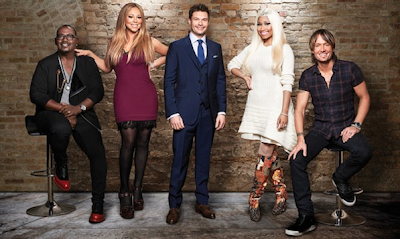 Rumours are also out that say producers are going to clean house after this season, getting rid of Keith Urban, Nicki Minaj and Mariah Carey. Fun. Hated all them anyways (mostly Nicki, betch is an intolerable amount of crazy).